The 90th annual Academy Awards may have aired on Sunday night, but the feels aren’t stopping anytime soon. And although Greta Gerwig didn’t win for Lady Bird, she still ended up having one the best nights ever…all thanks to her super supportive girl squad. Move over Taylor Swift, because Gerwig’s squad of best friends is the genuine girl group we want in on. This isn’t just for an Insta; these ladies actually showed up and showed out for their friend as she celebrated her nominations for Lady Bird at the 2018 Oscars this weekend. And they did it all in *matching outfits*, no less. 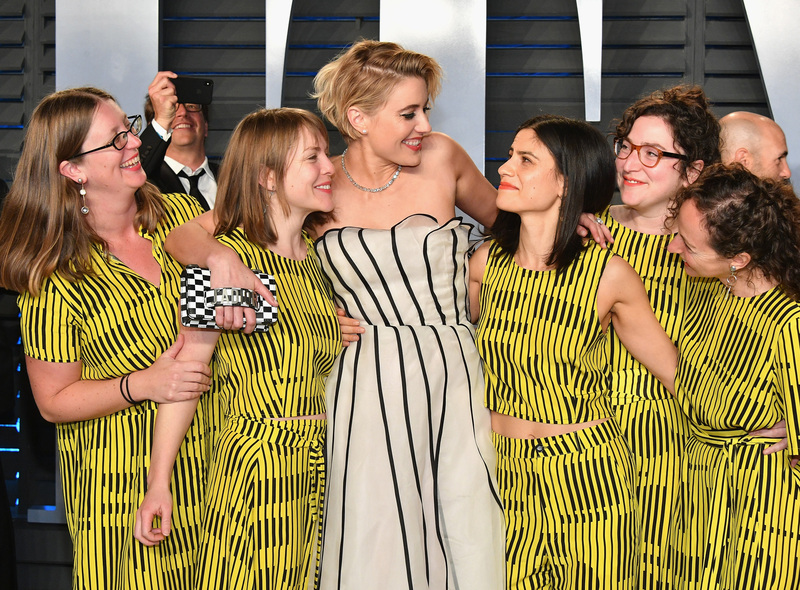 Arriving at the Vanity Fair Oscar party, five women, Gerwig’s best friends from college, all wore the same black and yellow matching print outfits and the reason why is going to make you cry. Her friends coordinated to make it obvious that they are Gerwig’s team. This is too sweet. 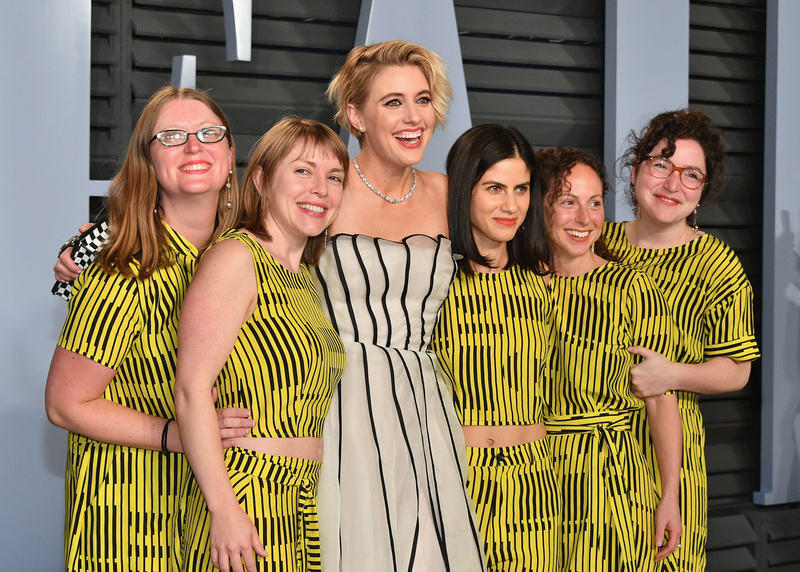 Ellen Van Dusen, designer for the brand Dusen Dusen, which created the looks for the fierce female squad, told The Cut that Gerwig’s friends sought her out to make them unofficial Team Gerwig uniforms for the big night. While this squad looks absolutely perfect in this photo, you know what would be the only thing that would make it all better? An Oscar statue in Gerwig’s hands. Here’s to the director making it happen at an Oscars ceremony in the near future.